After admitting that she was involved in the designing of a fat-shaming sweatshirt the company Revolve released last week, Lena Dunham, the queen of controversy, is back in the middle of another scandal. 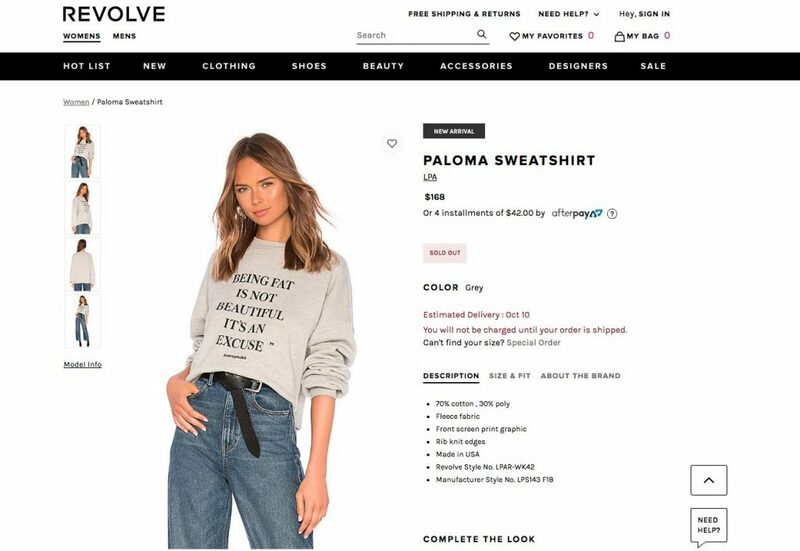 The sweatshirt, which reads: “Being fat is not beautiful it’s an excuse,” was met with a huge amount of obvious backlash. The sweatshirt was also priced at a whopping $168. The clothing retailer removed the design from the website on Thursday and tried to say that the “Quotes within the collaboration were shocking, which was entirely the point,” but people weren’t happy with that excuse, especially once Lena Dunham’s involvement was discovered. On Thursday, Dunham posted on Instagram announcing that she helped come up with the slogans. Dunham’s argument was that the offensive message on the sweatshirt was misinterpreted, and that it was Revolve’s fault for modeling them on “thin white women.” Dunham also said that she was trying to empower women by giving them opportunity to wear their “internet trolling and abuse” on a shirt. It is unclear if this was the legitimate intention or just a cover up, but either way, this is not how the clothing line was interpreted. 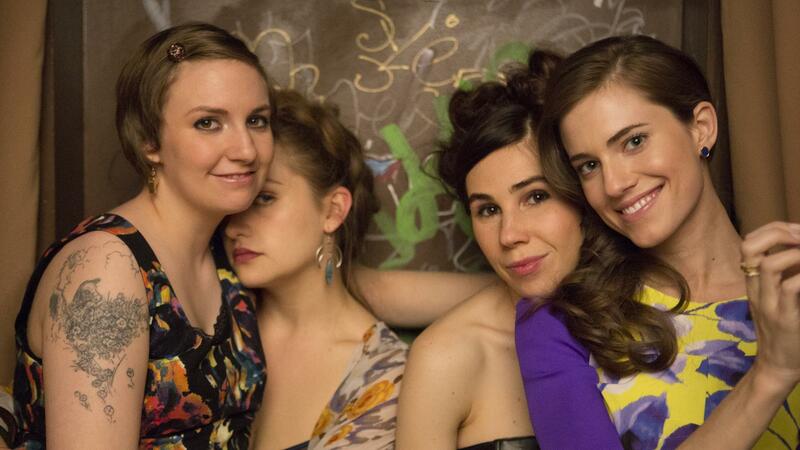 HBO’s ‘GIRLS’: Can It Move Beyond White Feminism? Dunham’s apology may have been taken more seriously if she had a different history with controversies. Unfortunately, Dunham has been involved in problematic content regularly. In the past, Dunham has been known for building a brand around “feminism,” but only when it’s convenient to her. As a quick recap for past Dunham controversies, she once called an actress a liar after the woman accused a “Girls” writer of sexual assault. Another time she said she “wished she could have an abortion” so she could know what it was like, which offended many women who had gone through the experience. She has also been accused of primarily casting white people in her shows, and of racist remarks. Those are just a few of Dunham’s “finest” moments. Waaaaaaaait wait wait…Lena Dunham is involved in this? And she's blaming solely Revolve? In response to the controversy, Dunham has vowed to only wear size-inclusive designers in all upcoming appearances. Revolve has also decided to donate $20,000 to “Girls Write Now.” Dunham also recently said in a Rolling Stone interview, “I’m really not as bad as everybody thinks I am!” The fact that she needs to introduce herself like that speaks more loudly than her words themselves. Dunham is a perfect example of a “white feminist” who gives others a bad name. With her picking and choosing when she wants to represent and empower women, she is turning her back to important issues and minorities. It’s not possible to represent women only when you want to, and only when those women fit your guidelines. Instead of just posting more apologies, Dunham needs to change her actions, so she no longer needs to apologize for things. How anyone thought putting “Being fat is not beautiful, it’s an excuse” would be empowering to women is unfathomable, almost as unfathomable as how Dunham continues to be caught in the middle of controversy after controversy, without realizing her mistakes.